The epic finale, featuring R. Sikoryak, Brian Dewan, Paul Boocock, and James Godwin. 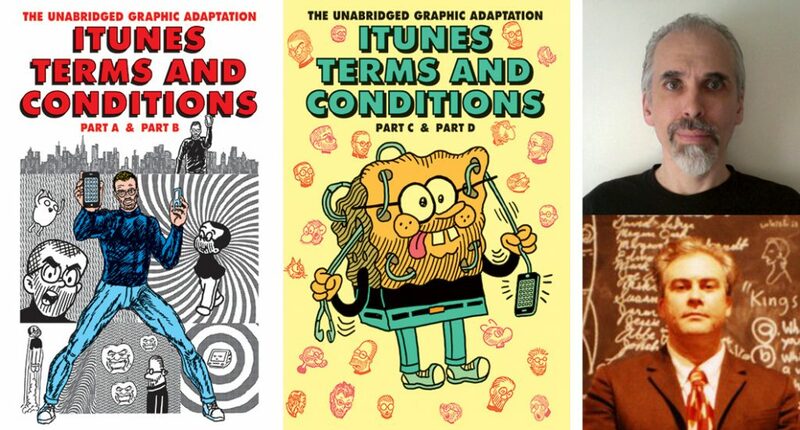 R. Sikoryak has drawn the entire, unedited text of the iTunes Terms and Conditions as a graphic novel, in over 90 distinct comics styles. It has appeared online at http://itunestandc.tumblr.com/tagged/comics/chrono and will be published next year by Drawn and Quarterly. 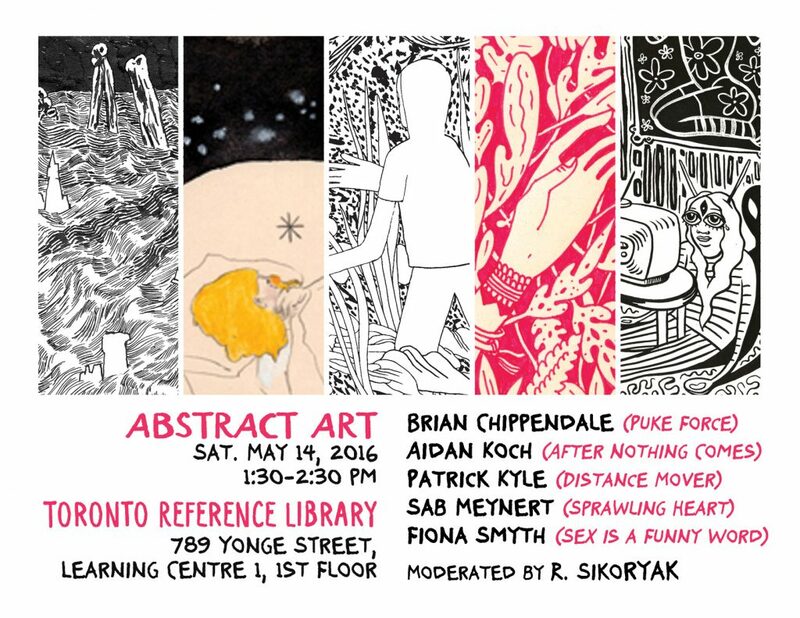 For this performance, Sikoryak will project the artwork & read from the text, accompanied by live music by Brian Dewan. They will be joined by special guest readers Paul Boocock and James Godwin. They’ll continue from their Jan. 22 and May 20 shows. 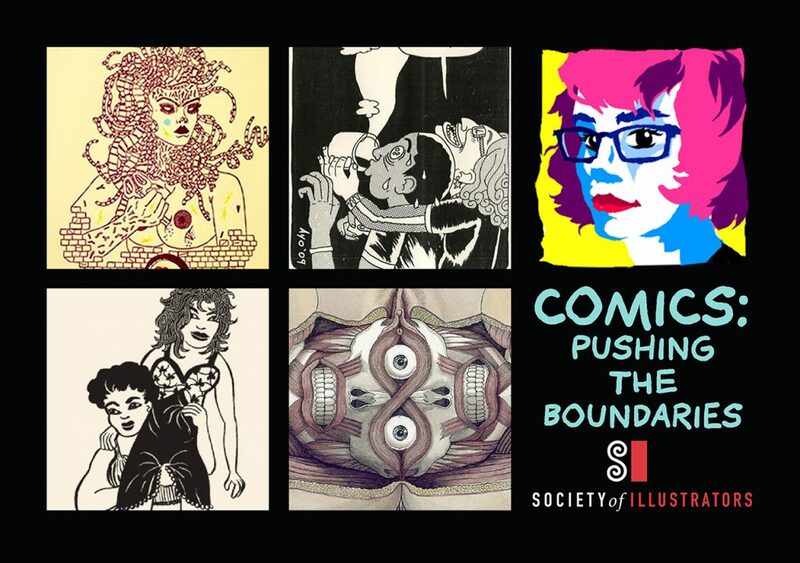 Comic readings and presentations by artists in the Society of Illustrators‘ Comic and Cartoon Art Annual. Jim Torok is a fine artist, and a cartoonist too. His work can be seen in New York at Pierogi Gallery www.pierogi2000.com and http://jimtorok.com/pages/index.php. For this performance, Sikoryak will project the artwork & read from the text, accompanied by live music by Brian Dewan. They will be joined by special guest readers Paul Boocock and James Godwin. They’ll continue from their Jan. 22 show, picking up on page 32. CAROUSEL in 2-D and 3-D! 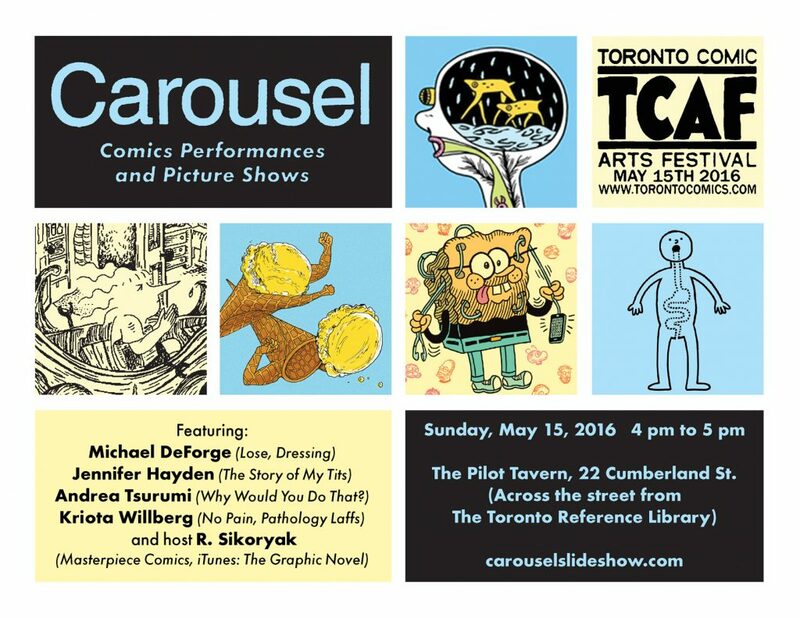 Presentations of graphic novels, gag cartoons, live drawing, and several 3D slide shows (including contemporary photos and classic horror comics). Glasses provided. plus special guest voices by James Godwin and Kevin Maher. 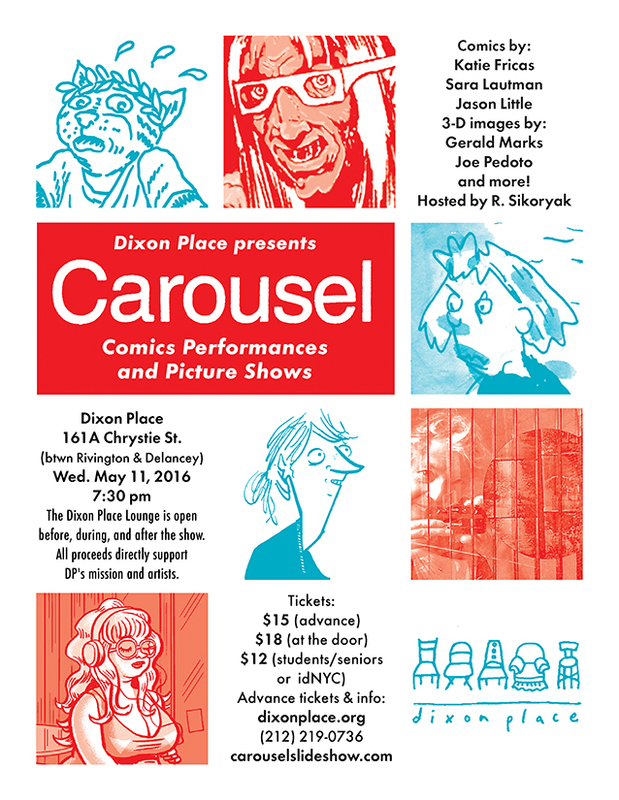 (The Dixon Place Lounge is open before, during, and after the show. 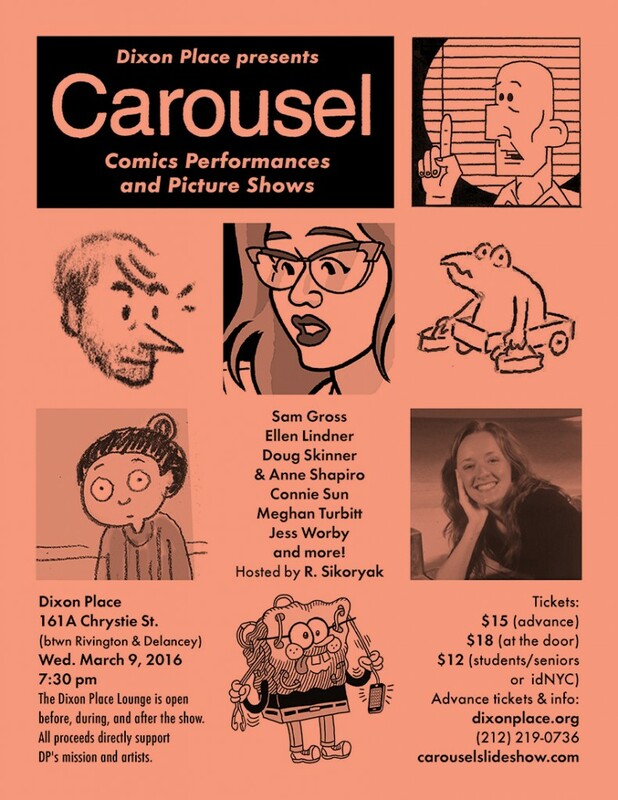 Live drawings, gag cartoons, and graphic novels as created, performed, and read by: Sam Gross, Ellen Lindner, Doug Skinner with Anne Shapiro, Connie Sun, Meghan Turbitt, Jess Worby, and more! Before the audience’s eyes, a series of comic-book illustrations appear on screen, accompanied by live narration, music, and other sound effects. The lush images come together to form a story, be it humorous or philosophical or any other genre. Each presentation is one-of-a-kind, never seen before, and utterly unique. Led by R. Sikoryak, a group of talented comic-book artists builds this hybrid spectacle, suited for both children and adults. 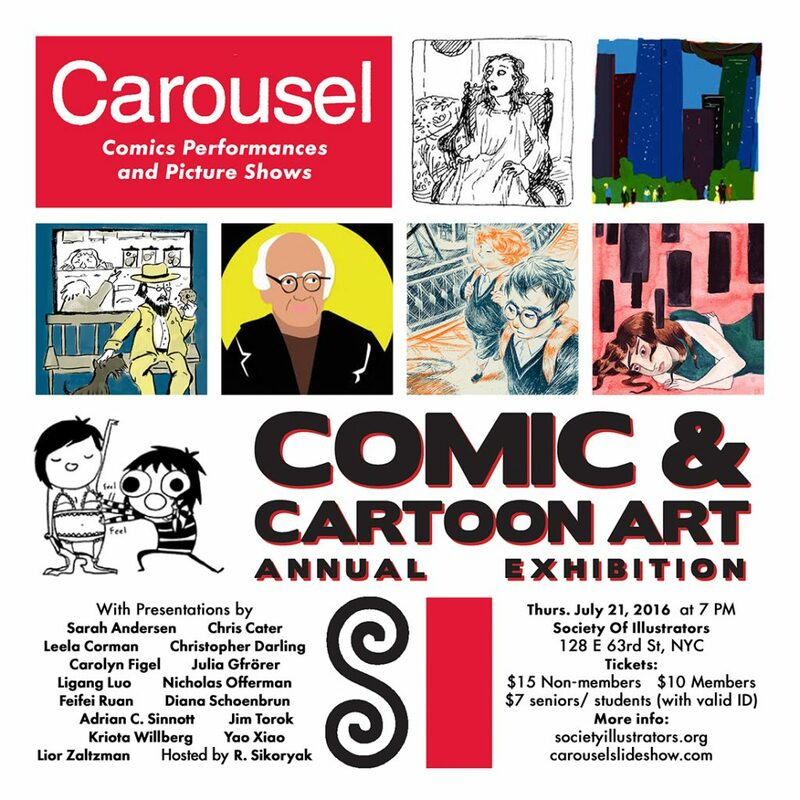 R. Sikoryak has been hosting this spectacle show since the 1990s, and is a wildly talented illustrator who has submitted cartoons to famous sources such as The New Yorker, The Onion, and Nickelodeon, as well as having authored two of his own graphic novels. 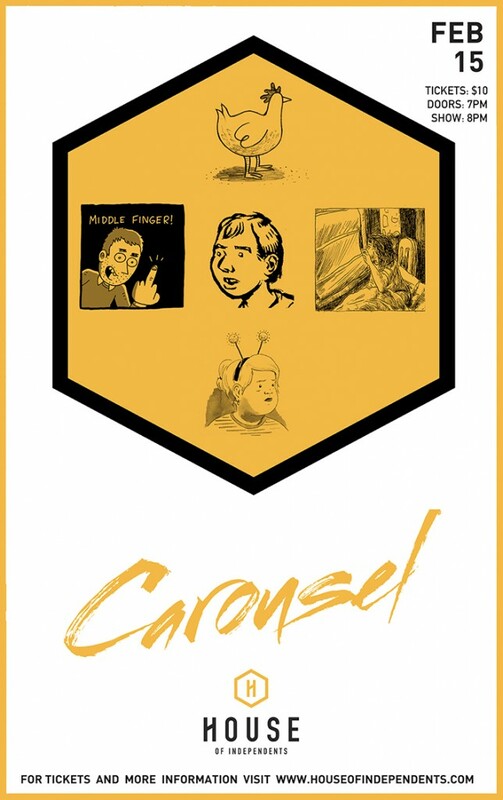 Dozens of artists have appeared with CAROUSEL SLIDESHOW, all providing their own individual creative talents and unique skills. Maëlle Doliveux is an illustrator who has received recognition and awards from major sources, and worked with clients such as The New York Times and the Spongebob Squarepants comics. 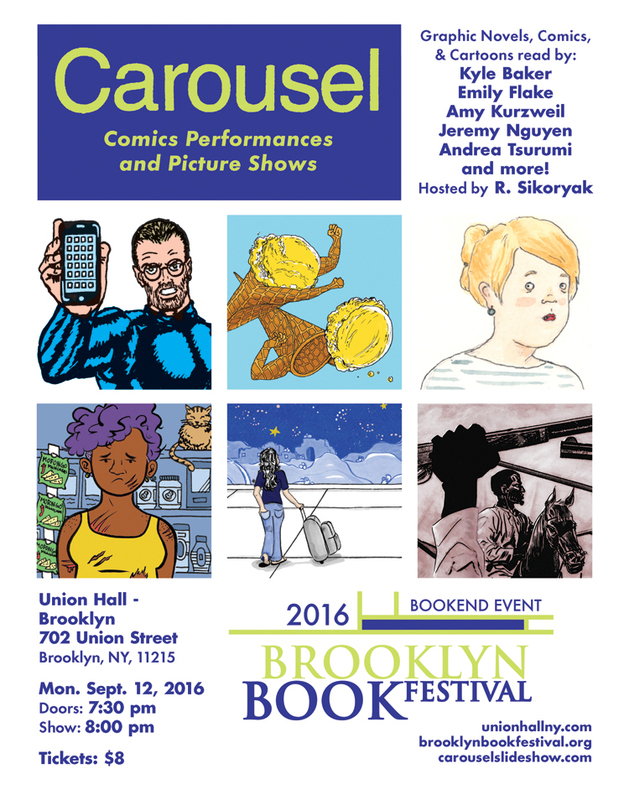 Emily Flake is a cartoonist, illustrator, and writer, and has had cartoons published in the New Yorker and MAD Magazine, among others. Jeffrey Lewis is best known for albums of folk and rock music, but he also makes comic books, including a self-published series called Fuff, and works on projects with organizations such as the History Channel and The New York Times. 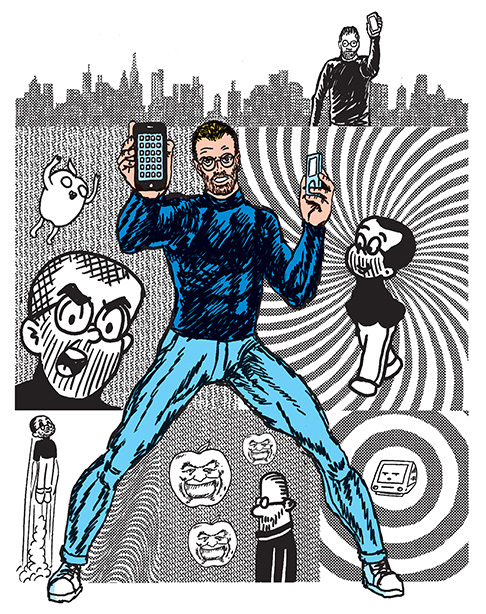 Neil Numberman is the illustrator of multiple graphic novels, and has written both picture books and comic books. Lauren R. Weinstein is a cartoonist, illustrator, and painter who has published three books and has had work included in many others. 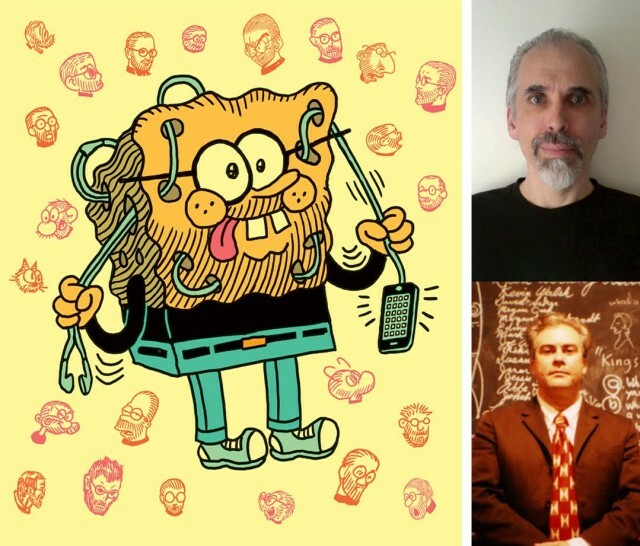 This talented crew will be joined by Jim Torok, an artist from Brooklyn, NY, who will provide “low tech animations” to the show, adding a whole new dimension to the artwork. Together, these artists will combine their talents to create a unique and original spectacle never seen here before.